Doris T. Bobadilla embraces the guiding principle that consistent excellence produces results. She maintains a regional litigation practice across Louisiana, Mississippi, Texas, and Florida. Doris represents clients in the areas of employment law, employment practices liability, insurance coverage, and workers’ compensation. Doris’ experience involves general insurance defense, including construction defect, automobile and premises liability. Doris holds an extensive background in civil and workers’ compensation litigation. She represents clients before state, federal, and administrative courts. She began her career as an Assistant District Attorney, Orleans Parish, State of Louisiana, where she tried numerous jury and judge trials. With Galloway, Doris bolstered her trial experience and has tried civil cases and administrative matters. Doris presents seminars on the topics of employer’s liability, workers’ compensation, and insurance coverage law. Currently, Doris serves as the Managing Director of Galloway’s Mississippi ofﬁce. 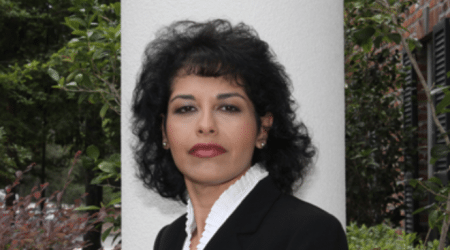 She holds membership in the Louisiana Bar Association, Mississippi Bar Association, Texas Bar Association, Florida Bar Association, the Louisiana Association of Defense Counsel, Defense Research Institute (DRI), and the International Amusement and Leisure Defense Association. As evidence of her legal ability and ethical standards, Doris received an AV-Preeminent rating from Martindale-Hubbell. In further recognition of Doris’ career and community achievements, the New Orleans CityBusiness Board selected her as a Leader in Law and the New Orleans Chapter of the Federal Bar Association honored Doris with the Camille Gravel Public Service Award. She also received the Executive Women International, New Orleans Chapter’s Representative of the Year Award.